Boston, meet your new favorite clothing line. Simple, sophisticated, comfortable, versatile, and with a price point that recognizes most of your monthly salary goes to rent, A Ruby is the brand that gets it. 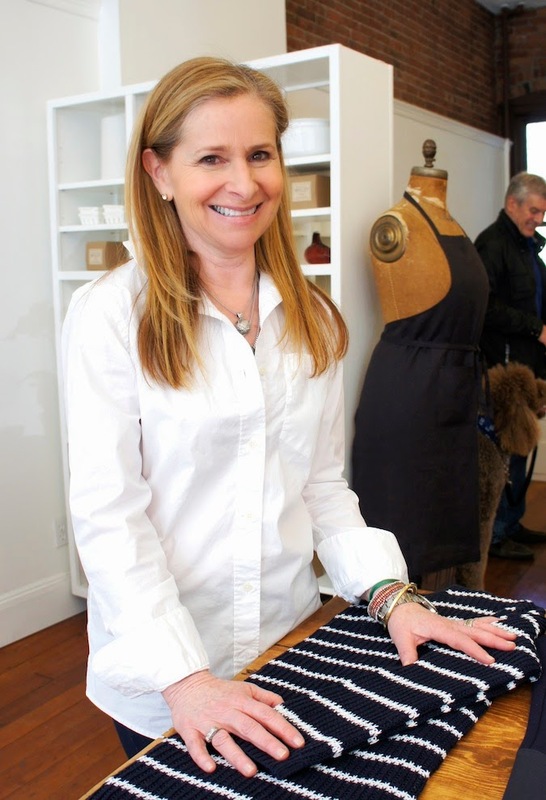 I chatted with local designer, Avra Myers at her recent pop up shop with Michelle Willey in the South End, on how she started the brand, and why she's so focused on making style easy for the everywoman. Why did you decide to start A Ruby? My background was at Club Monaco and J. Jill, and I was thinking about what I was going to do next with my life. My boyfriend said, "Why don't you do something with style? Don't make it about fashion. You could make it easier for other women to get dressed in the morning." Later, I was standing at the airport, waiting in line to check in, and there were six or seven women in front of me, all wearing black leggings. None of them looked appropriate. (Ed Note: This, shamefully, could have been me!) I looked at my boyfriend and said, "I think I could do a better legging!" What were the first, key pieces that you designed? I love anything authentic. Riding, nautical/marine styles, motocross, ski... I think some of that comes from Club Monaco, where we were always about "real". That's why I started with riding pants and leggings. I wanted them to be in a heavy enough fabric that you could wear them and look appropriate in public. I wanted more colors outside of basic black. I wanted a legging that could be worn by tall and petite women alike. I thought I had the perfect white shirt in my closet, but I didn't. They were not long enough, they didn't fit correctly! So I had to do a white shirt. Then I remembered that I loved graphic tees, but I don't really wear them. I wanted to do something whimsical, but a little tounge-in-cheek, with a reference to the french aspect of Canada (Myers is originally from Toronto). A Ruby tees are made a little longer; they're streamlined and slightly low in the neck. Really, I wanted to design things women could wear every day. So there isn't anything frou-frou that's just thrown into the collection. These fabrics are really soft! Many of our fabrics are actually considered "performance" fabrics, but are designed as street wear, so you get the comfort and the fluidity of motion, but with the style. The fabric is so stretchy you can have it do what you want it to do. And you can wear it all day, and it will come back to its original shape. Tell me more about your customer. I have to share this story from about a recent customer - it really encapsulates what I'm trying to do with A Ruby. She's an attorney in New Orleans, and she sent me an email that said, "This morning and I had a meeting. So I wore my A Ruby leggings, white shirt and boyfriend jacket. Then I had to fly to Houston with my mother. When I got off the plane, I was immediately off to a barbeque. And I looked fresh and totally appropriate for everything I did that day!" If you could say one thing to your customer, what would it be? I want to make it easier for you to get dressed in the morning. I want it to be easy for you to feel chic, stylish and comfortable in what you are wearing. All A Ruby pieces are wrinkle-resistant, machine washable and pre-washed. Sizes range from 0-18, but the A Ruby sizing system is 1-5 (sizing chart here). A Ruby can purchased through Sunday, April 19th at Michelle Willey (8 Union Park Street, in the South End), or online anytime at ARuby.net. All pants ship for free with the coupon code PANTSSHIPFREE. Got more questions for Avra? You can email her directly at askavra@aruby.net. 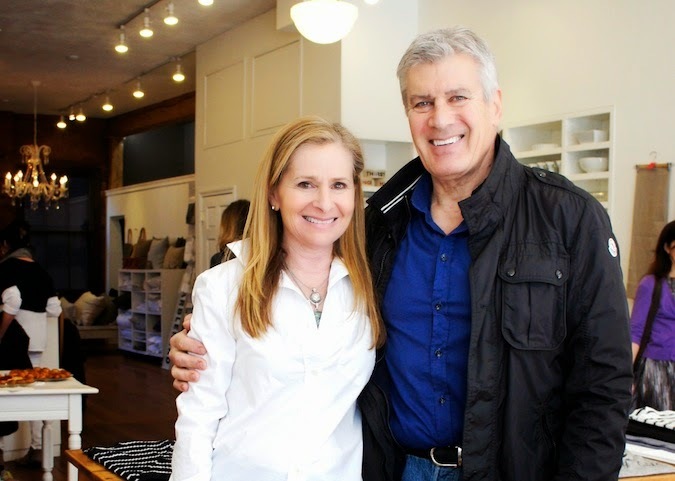 Read more about local Boston designers here and here.